A river is not just water, although water is an important component. Rivers use the energy they derive from water downslope to move sediment to the sea. Rivers are nature’s sculptures, molding and remolding the shape of the land through millennia to create the beautiful landscapes we enjoy today. The water and the sediment the river carries is the life support system for aquatic plants, plankton, aquatic insects, fish, floodplain vegetation, reptiles, amphibians, birds, and mammals. Riverine habitats are among the most productive of all. The Indians called the wintering grounds Ya-ha-Tindah, the prairie in the mountains. 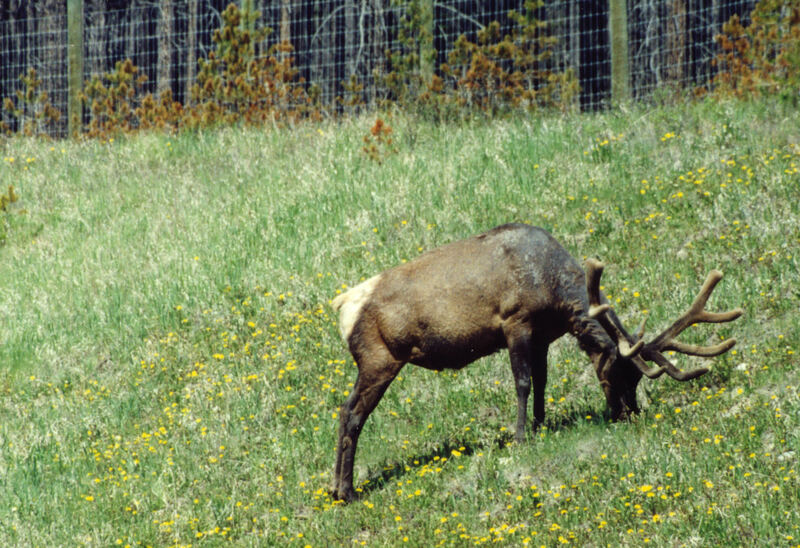 There they would come to hunt the deer they had named wapiti, the deer that some white men that would later recognize as the great red deer of North America, and mistakenly call them elk after the European name for the animal we call the moose. 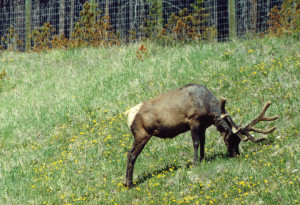 The Red Deer River begins at Red Deer Lakes and Drummond Glacier in Banff National Park. Flowing east and south-east across Alberta, it traverses the Front Range of the Rocky Mountains, the Foothills, the Boreal Forest, the Parkland and the Prairies before joining the South Saskatchewan River, a distance of some 744 kilometres. In the distant past, when the First Nations people owned the land and the river, animals of many kinds abounded in the valley, the coulees and the side streams of the mountains and the prairies. Majestic red stags, discretely hidden in the forest edge, flung their antlers back and bugled challenges and warnings to the others of their kind that had thoughts of stealing away some of the harem feeding peacefully in the meadows by the river. Sniffing the suddenly gusting breeze, the stags watched for the wise old females of the herds to start the move to the wintering grounds. Soon the snows would come and they would all follow the water that would one day bear their name through the gap in the mountains to the great grassy bowl beyond. There they would struggle through the long snow-filled cold while the wolves picked off the weak and unwary. They stayed until the strength-giving spring returned and the river rushed full and free once more, and brought cleansing to all as it carried the melting snows of the mountains to the hot prairie to join the waters of the Arctic so many miles away. Small tributary. Copyright 2005 W. Heinsen. The written history, white man’s history, of the Red Deer River starts with the winter of 1754 when the Hudson Bay Company’s Anthony Henday crossed it twice near the present location of the City of Red Deer and, for the first time, saw the shining mountains. Henday placed the river between the North Saskatchewan and the Bow Rivers and also noted that it drained Buffalo Lake. His observations were confirmed in 1790 by Peter Pangman who crossed the river at the Canyon and later returned in 1801 to build Fort Chesterfield at its confluence with the South Saskatchewan. Mapping the river started with David Thompson who, from 1787 – 1807 crisscrossed it and canoed it many times during his prairie years. His map is on the wall in the great hall of the Northwest Company in Fort William. Worldwide awareness of the existence of the river came with its addition to the Arrowsmith 1814 world map. 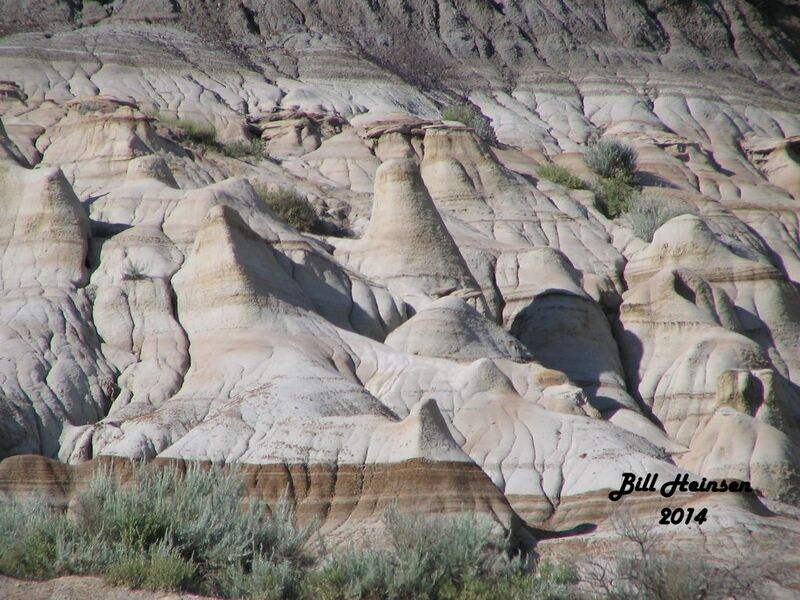 Hoodoos on the lower Red Deer River. Geologically, Fidler noted the Empress coal deposit in 1792, Hector described the Drumheller Badlands in 1858 and in 1884 Tyrell first identified the dinosaur beds near Drumheller. To prairie travelers the river was a barrier, a demarcation line and a landmark. It was crossed multiple times by missionaries like the Rev. Robert Rondal who conducted a mass baptism on its banks during his prairie tour from 1840 to 1848. Father Dusmett crossed it in 1845. In 1861 Father Lacombe crossed it and so did George and John MacDougall who came to the prairies in 1865.
Notable non-missionary prairie travelers who crossed the Red Deer River included the Hudson Bay Company’s governor, Sir George Simpson, who crossed it on his round-the-world tour of 1841. James Sinclair, who brought Oregon settlers out from the Red River Settlement in 1841 and again in 1854, also crossed it. The first tourist to visit the area was the Earl of Sussex who arrived in 1859. Settlement on the river was late. Because the river did not lead to a Rocky Mountain pass, its first settlement did not occur until Addision MacPherson arrived in 1869. Permanent settlement was even later starting in 1882 with the arrival of settlers McClelland and Mackenzie at Three Mile Bend. Rev. Gaetz, agent for the Saskatchewan Land Company, came in 1884. Fort Normandeau was built at the crossing in 1885 as part of the defenses for the second Riel Rebellion. Permanency was guaranteed when the Calgary and Edmonton Railway crossed the river in 1890.